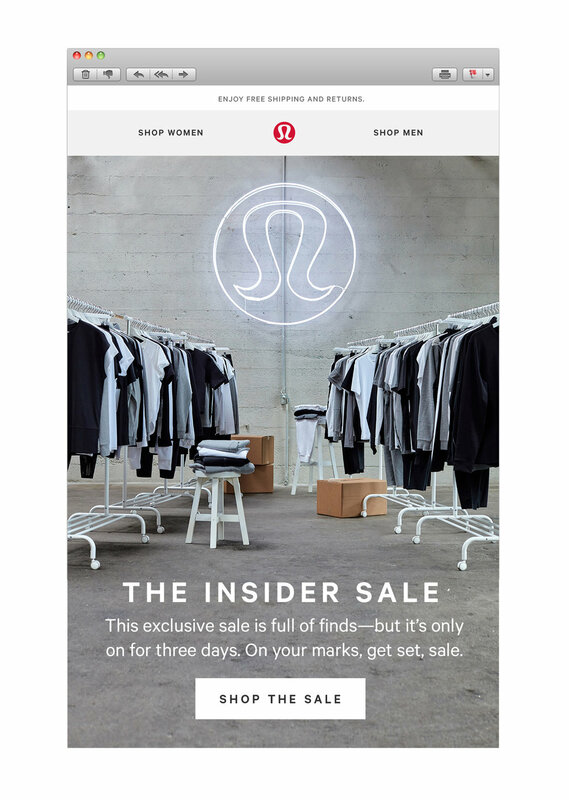 Lululemon's online warehouse sale doesn't happen often. In fact, it doesn't happen at all until now. 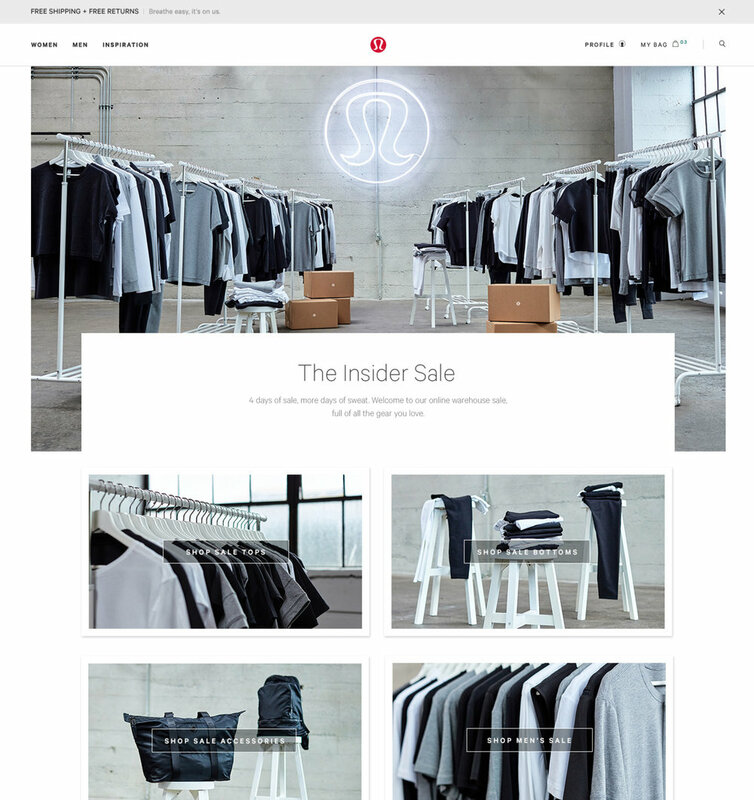 Our brief was to create a premium looking online warehouse sale creative that was playful and engaging. The visual direction was very well received and the creative resulted in the largest volume traffic day since Christmas Day 2016 and sales exceeded planned targets. Needless to say, the image that first pops into your head when you think 'warehouse sale' is a big, poorly-lit warehouse with product thrown around. We wanted to stimulate the feeling of being at a warehouse sale, however, elevate the experience. We decided to play with order versus disorder and created a industrial set which we filled with monochromatic, nondescript product, neatly branded boxes and folded stacks to create the disorder, however, shoot everything symmetrically to create the order. We created a custom 5'x5' neon sign of the lululemon logo for a centre piece to ground the visuals. To add a sense of play and urgency in the vein of 'get it before it's gone', we created a series of animated gifs for our social channels, email marketing program as well as paid display. This campaign went live in the second week of July and was hugely successful across all digital channels. We successfully achieved the strongest email revenue performance as well as the highest traffic and revenue week in social media. The instagram story, itself, drove 53K visits to the website. 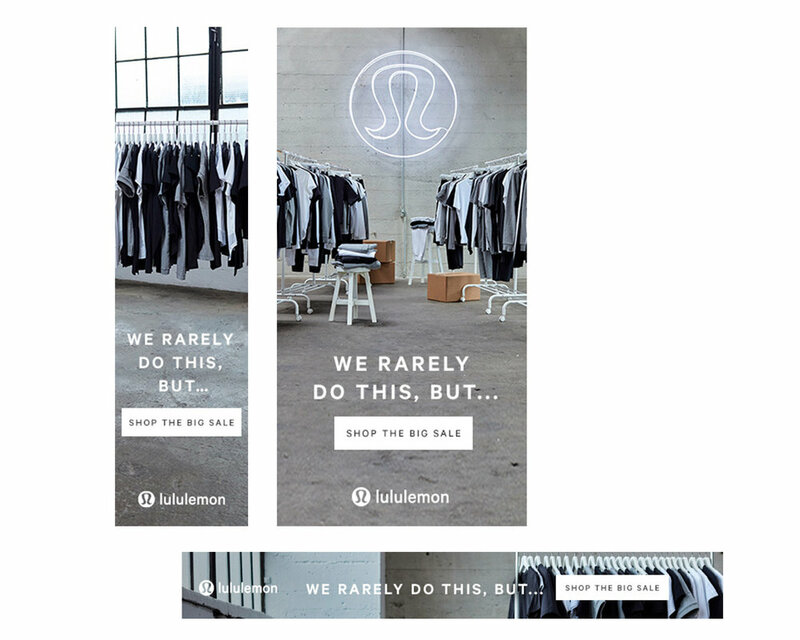 Overall, this campaign exceeded all its targets and was one of the most successful campaigns in lululemon history.